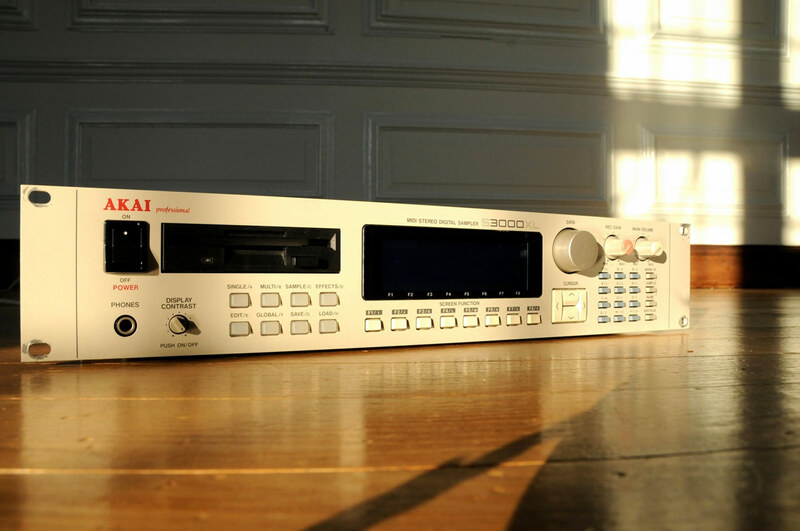 The S-series samplers from Akai are most likely the best 16-bit samplers in the world. The most radical feature about these great samplers is that they are very synth-like. Aside from outstanding sampling specs such as 44.1kHz 16-bit stereo sampling, tons of RAM (8 to 32 MB) and extensive editing capability, the S-3000 series has excellent synth-like filters with resonance, 32-voice polyphony, full digital onboard effects (delay, chorus, reverb, etc.) two LFOs, and complete MIDI implementation with MTC and SMPTE. Other bonus features include digital I/O, SCSI interface, multiple storage options and a great big LCD display screen. The S-3000XL has the same specs as the S-3000 but it comes with most of the options already installed. That includes the built-in hard-disk recording option, added filters, SCSI interface, digital I/O, additional optional effects and a SMPTE reader/generator. Effects – 50 effects (Echo, Delay, Chorus, Pitch Shift, Reverb); Optional EB-16 Multi Effector board for S3000XL: (SampleVerb in North America) 4-channel, studio-quality, multi-effects board. Storage – S3000XL: 3.5-inch 2HD/2DD floppy disk; Hard Disk Recording Provided; 3.5-inch hard disk (optional) internally mountable; SCSI provided. Control – S3000XL: MIDI; S/PDIF Digital In/Out provided; SMPTE Reader/Generator Not available.